In case you’re hearing noises from THE piazza, or just from your computer’s speakers, you should know that the ever effervescent Father Guy Selvester has resumed his blog, Shouts in the Piazza. He took the last few months off from blogging. 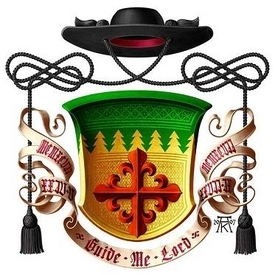 Father Selvester is a parish priest of the Diocese of Metuchen in New Jersey, an Oblate of Saint Benedict, an heraldic artist (an expert in coats of arms) and a friend. About two years ago we collaborated on some voice work when I was an editor at the Catholic Information Service at the Knights of Columbus; he lent his voice for the proclamation of the faith by reading the booklets on the faith for audio found on the CIS website. He brings wit and wisdom to the often dowdy blogosphere. You will see on Shouts in the Piazza a lot about ecclesiastical heraldry, some stuff about Church life in general, his own thoughts, homilies, etc. Last autumn, www.ilsussidiario.net, an internet news portal edited by the Foundation of Subsidiarity directed by Giorgio Vittadini, sponsored a special “On the Spot” section with articles from US-based writers on aspects of the presidential election. This was a start for what will now be a new regular English-language section of the site. The editors are happy to announce the birth of the English section of the daily “Il Sussidiario” divided in three sections: Politics & Society, Economy & Finance, Culture, Religion & Science. The “On the Spot” section will feature news and opinion pieces on all aspects of life in the USA and English speaking countries, with our particular judgment on events. (N.B. Monsignor Lorenzo Albacete writes a column every week). It will include interviews and articles from experts as well as regular reporters. Looking for writers. There is a need to produce at least two or three original articles weekly of about 450-650 words. In addition, some of the articles would be translated into Italian for a daily audience of 3000 people. If you would like to join us in this venture, please write to clairityrose@gmail.com. 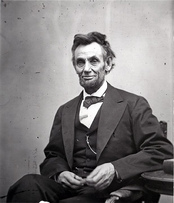 A new drama about the life of Abraham Lincoln and the role that his fourteen years in Spencer County, Indiana, played is being planned for the bicentennial of his birth in 2009. According to Matt Bai’s article “Newt. Again.” in the March 1st NYTimes Magazine, Newt Gingrich, 65, is coming into full communion with the Catholic Church, or at least that is what he reported. The author made a simple parenthetical statement that Newt was entering his wife’s faith. Thanks be to God. On the feast of Saint Scholastica (February 10th), The Portsmouth Institute was launched. What is labeled as “America‘s Premiere Catholic Boarding School” a center for summer study has been founded to explore the relevant matters pertaining to Catholic life in 21st century. Akin to what Fr. Richard John Neuhaus, Msgr. Luigi Giussani and Pope Benedict XVI and other like-minded intellectuals would say: faith broadens reason. This Institute envisions a comprehensive look at Catholicism from many vantage points that will appeal to scholars interested in Catholic faith and life. As you would expect, the Institute will engage faith and reason by engaging experts in the fields of spirituality, theology, history, science, the arts, politics, sociology as well as other aspects of contemporary society. Initial funding for The Portsmouth Institute has been established with generous contributions from National Review Institute, the William E. Simon Foundation, the Healey Family Foundation and other generous alumni and friends. Accepting the role of director is Jamie MacGuire, Senior Development Officer of the Portsmouth Abbey School and 1970 graduate of The Portsmouth Abbey School. The Portsmouth Institute will feature leadership and participation by Portsmouth Abbey’s resident Benedictine monks and faculty of the Portsmouth Abbey School. Institute programs are designed to offer attendees frequent opportunities for informal discussion, as well as access to recreational opportunities on the School’s campus at Carnegie Abbey, and in nearby Newport. 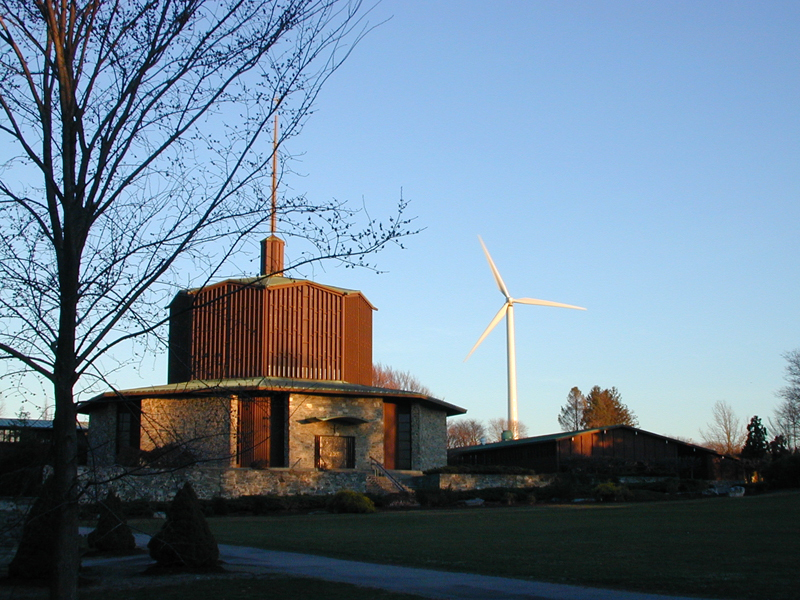 In keeping with its mission, the Institute’s yearly sessions will also provide opportunities for attendance at Mass, the Divine Office and “mini-Retreat” sessions centered around the Abbey’s landmark Church of St. Gregory the Great. The Institute’s inaugural conference will be “The Catholic William F. Buckley Jr.: In Gratitude” June 18-21, 2009 at the Portsmouth Abbey School, Portsmouth, Rhode Island.